Wilson Audio Sophia 3 review | What Hi-Fi? We find it hard to know where to start when discussing the Wilson Audio Sophia 3 speakers. There’s so much here to admire. There are aspects of sound where the Sophia 3 floorstanders are pretty much as good as things get. Equally, we’re deeply impressed by the build and finish. And, while the brutal, angular styling Wilson favours may not be to all tastes, there’s no denying that the fit and finish of the product leaves little room for criticism, even at this elevated price. Don’t be put off by the divisive gold paint of our review samples. That was chosen to show the wide range of colour options available. If you’re lucky enough to buy a pair of Sophia 3 speakers you can have them in any colour you like. That distinctive cabinet is a composite affair using different materials for the angled upper section and the rectangular lower part. The idea is to use cabinet materials that work optimally (as far as damping and rigidity are concerned) for each range of frequencies. Wilson isn’t particularly forthcoming on what those materials actually are, preferring to keep things mysterious by giving them names such as X and S material. Dig deeper and it’s possible to get an idea. The S material (natural fibres in a phenolic resin laminate) is used for the midrange part of the enclosure while the bass part is built from specially created cellulose and phenolic composite (the X material). The two parts are joined into one structure rather than split as in Wilson’s pricier models, so reducing cost in the process. The complete structure feels immensely rigid and well damped, which make it a good support for the trio of drive units. The Wilson Sophia 3 speakers are three-way speakers. This means they have dedicated drive units for bass (25cm aluminium cone), midrange (18cm cellulose/paper cone) and treble (25mm inverted Titanium dome). The advantage of dedicated drivers is that they can be optimised to work in that specific relatively narrow band of frequencies, whereas drivers that have to work across a wider frequency band have to make compromises in many areas to do so. The downside to such an approach is cost – and the difficulty in integrating three drivers seamlessly. It may be hard to believe, but by Wilson Audio's standards these are entry-level, compact floorstanders. Yet still they stand 105cm cm high and 35cm wide, weighing in at a considerable 75kg. Order a pair and they’ll arrive in hefty wooden crates, and roll on castors to make positioning easier. Once the speakers are in place the castors can be replaced by spikes to connect the speakers securely to the floor. At this price level it would be reasonable to expect the supplying dealer to do the setting-up. That’s a good thing, as these are awkwardly heavy designs that reward careful positioning and sympathetic system matching. Wilson’s speakers are known to be particularly finicky about set-up. By the company’s standards these are designed to be less fussy, still a little extra attention will bring plenty of reward. The Sophia’s crossover allows a certain amount of fine-tuning through user-changeable resistors to help get the Sophia 3’s sonic balance just right in the listening room. While not unusual in preferring plenty of space to breathe these speakers are sensitive to exactly where they are placed relative to the listening position. Get the angling just right and you’ll be treated to some of the most precise stereo imaging it’s possible to get from such floorstanders. However, move a little away from the sweet spot and the almost holographic imaging fades and loses some focus. The sheer transparency of these speakers means that a rather large magnifying glass is put on your system electronics. If they’re not up to standard you’ll soon know about it. We were supplied with a Krell Phantom II/402e pre/power combination to show what the Wilsons can really do, and as expected the electronics and speakers worked really well. We also used our reference Bryston BP26/4B SST2 amplifier as an alternative. Sources were our usual combination of Naim NDS/555ps streamer and CDS3/555ps CD player backed up with a Clearaudio Innovation Wood turntable for good measure. We start with Kind of Blue by Miles Davis, and instantly we’re hooked by the Sophia 3s’ transparency. The sound is breathtakingly clear, and instruments are rendered with pinpoint precision. There’s a lovely delicacy here, with the subtle nuances of Davis’s performance delivered in a clear and unambiguous way. The presentation is immensely taut, yet lacks little in fluidity – a truly rare combination of talents. We’re also deeply impressed by the seamlessness of the sound. For the most part the Sophia 3s’ trio of drive units combine beautifully to give an utterly consistent character throughout the frequency range, right to the highest frequencies. It’s here, finally, that we find something to (mildly) criticise. Good as that tweeter is, it falls a touch short of the standards set by the best alternatives we’ve heard, namely the Beryllium unit used in Focal’s high-end Utopia range and the Diamond dome used by Bower & Wilkins in its top speakers. Wilson’s inverted dome – sourced from Focal but made to its specifications – lacks just a little of the refinement and harmonic subtlety of these alternatives. Move onto Prince’s 3121 and it turns out the Sophia 3s can party too. They’re capable of huge volume levels and the kind of deep, chunky bass that you can feel as well as hear. There’s plenty of composure at these high levels, and a refusal to harden up even when pushed very hard. We had to give up long before the speakers started to complain. Given a suitably capable system these Wilsons are impressively surefooted rhythmically, delivering the leading and trailing edges of note with breathtaking control. There’s a strong feeling of the speakers laying the recording bare, uncovering every piece of low-level information for inspection. The relationship, in terms of dynamics, timing and spatial between sounds is preserved and readily apparent. This level of analysis is unusual and impressive. We’re equally taken by the speakers wide dynamic reach: they’ll play the quieter sections of Orff’s Carmina Burana with light-fingered finesse yet will deliver seismic dynamic swings when required. There’s very little sense of the speakers holding back as they deliver crescendos with a mighty hammer blow. 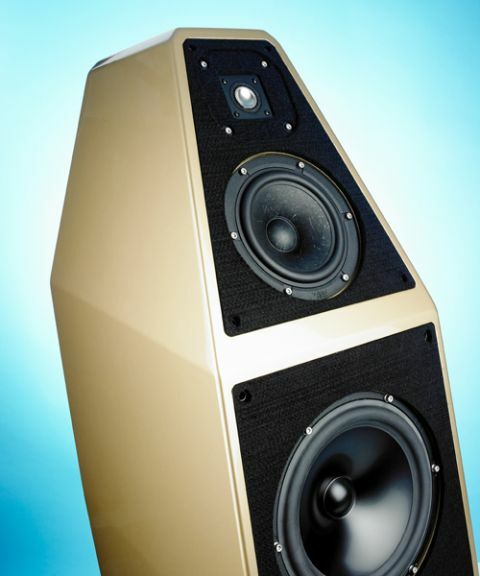 Yes, the Wilson Sophia 3 speakers are eye-wateringly expensive, but they are hugely capable too. Partnered with a suitably talented system they’re capable of delivering a sound full of detail, dynamics and drive. They deliver a fair chunk of the performance of Wilson’s pricier, more glamorous speakers at a massive saving. Arguably, the Sophia 3s are the best value speakers the company makes.